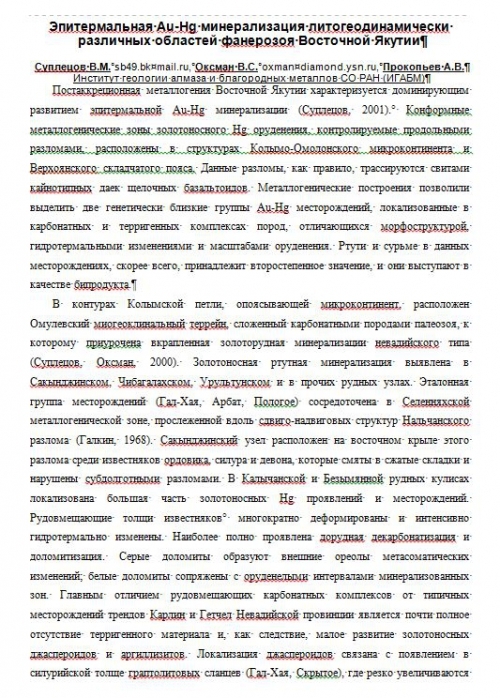 Автор(ы): Hofstra A.H., Yigit O.
Издание: Journal Ore geology reviews, 2003 г., 24 стр. 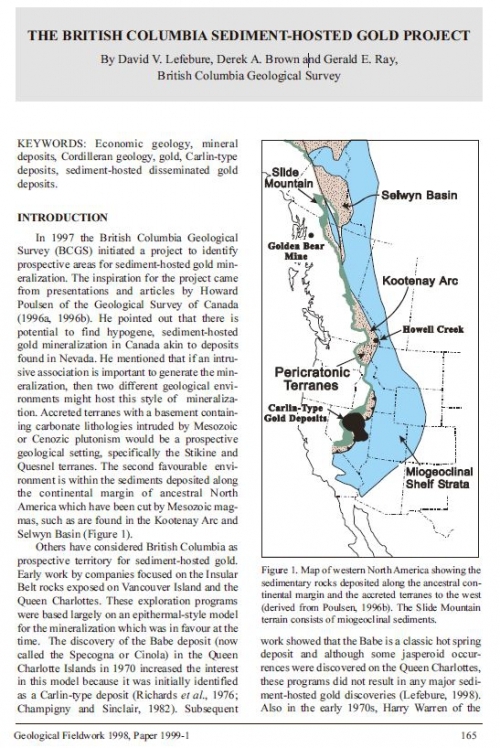 The Gold Bar district contains five Carlin-type gold deposits and four resources for a combined gold endowment of 1.6 M oz [50 t]. 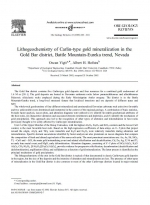 The gold deposits are hosted in Devonian carbonate rocks below parautochthonous and allochthonous Paleozoic siliciclastic rocks emplaced during the Early Mississippian Antler orogeny. 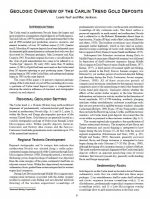 The district is in the Battle Mountain-Eureka trend, a long-lived structural feature that localized intrusions and ore deposits of different types and ages. 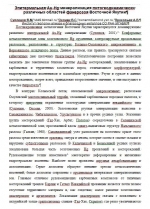 Издание: Economic geology, 2006 г., 37 стр. 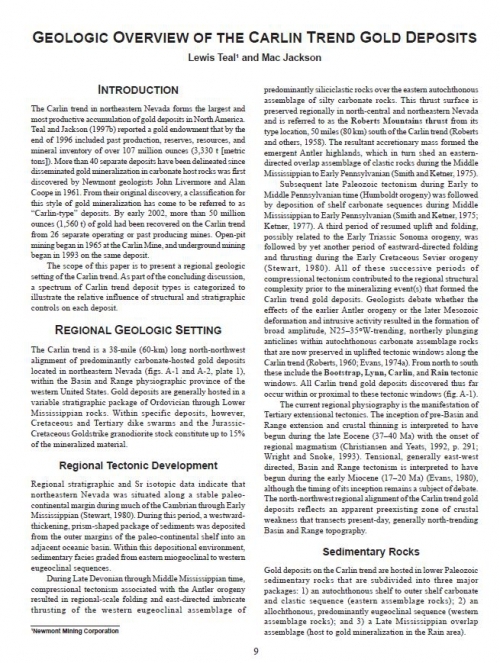 The Carlin trend contains the largest concentration of Carlin-type gold deposits in the world. 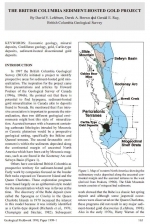 Two major controversies about these giant gold deposits have been their age, which is now firmly established as Eocene, and the source of heat, fluids, and metals, which remains debated. 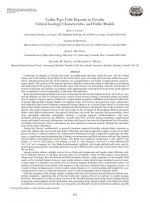 We present data that demonstrate an intense period of Eocene magmatism coincided in time and space with deposit formation and was arguably the primary heat source. 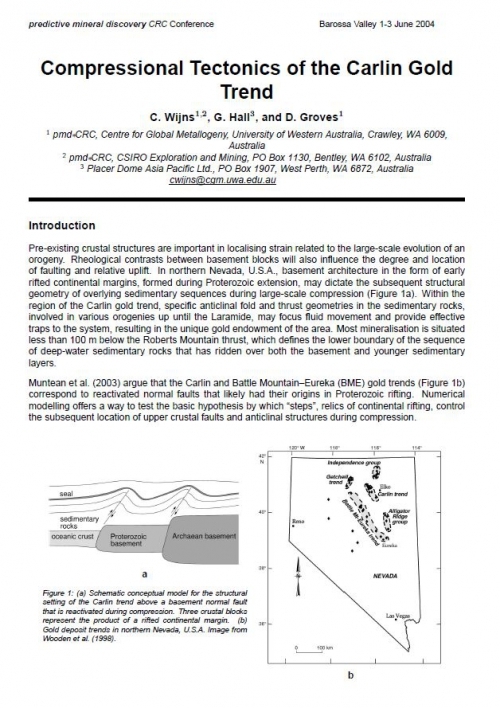 Geologic studies over the last 40 years have emphasized the stratigraphy and structure of Paleozoic sedimentary rocks, which are the major ore hosts. However, four igneous episodes affected the Carlin trend, in the Jurassic, Cretaceous, Eocene, and Miocene. A Jurassic diorite-granodiorite laccolith and related dikes were emplaced at about 158 Ma in the northern Carlin trend. A Cretaceous granite intruded the northcentral part of the trend at 112 Ma. Abundant Eocene dikes intruded along most of the trend and were accompanied by lavas in a large volcanic field along the southwest edge of the trend between ~40 and 36 Ma. Miocene rhyolite lavas erupted just west of and across the southern part of the trend at ~15 Ma. Издание: Department of Geology Science, Reno, 4 стр. 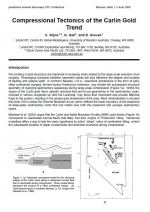 Stable isotopes from sulfates of three origins in Carlin-type deposits (CTDs) from western North America fall into distinct clusters and can be utilized to discriminate between barite of Paleozoic (sedimentary exhalative) origin, barite of hydrothermal origin related to gold mineralization, and supergene alunite and jarosite of weathering origin. Although the latter are obvious from field relations, the distinction between hydrothermal and sedex barite is not always so clear. 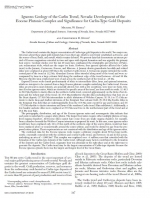 Sedex sulfate sulfur was probably reduced and mobilized during gold mineralization, equilibrated with hydrothermal fluids, and then precipitated as sulfate during the late stages of mineralization, with a distinctly different sulfur and oxygen isotope signature. 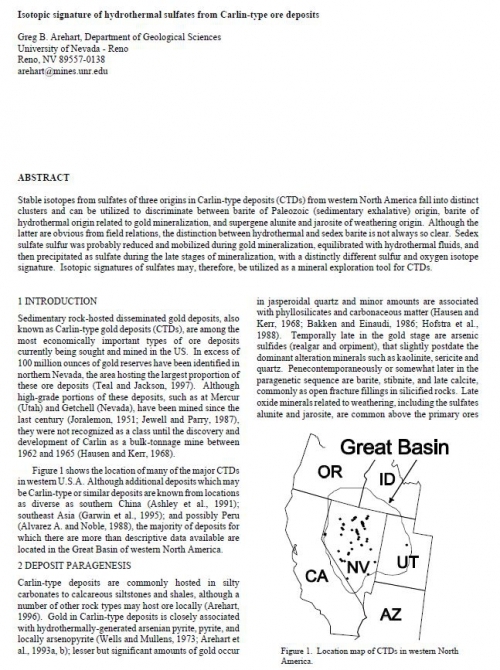 Isotopic signatures of sulfates may, therefore, be utilized as a mineral exploration tool for CTDs. 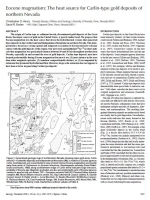 Издание: Journal Geology, 1998 г., 4 стр. 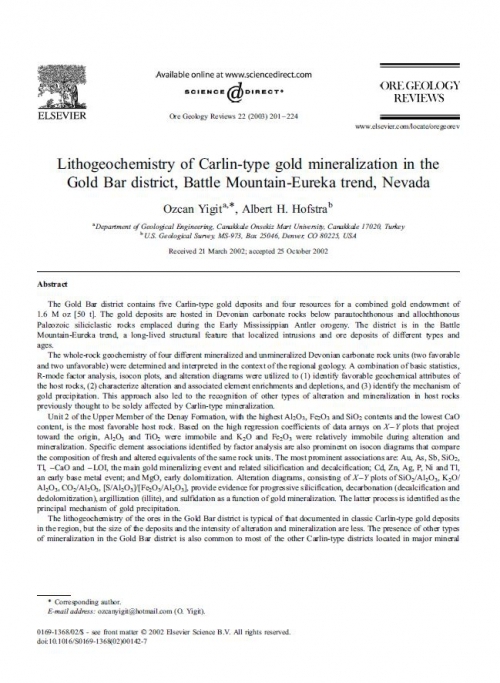 The origin of Carlin-type or sediment-hosted, disseminated gold deposits of the Great Basin, the major source of gold in the United States, is poorly understood. 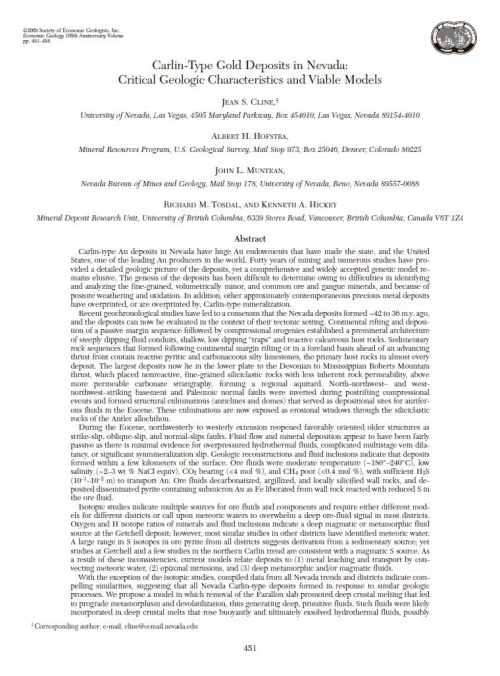 We propose that Eocene magmatism was the heat source that drove the hydrothermal systems that generated these deposits in the Carlin trend and Independence Mountains in northern Nevada. 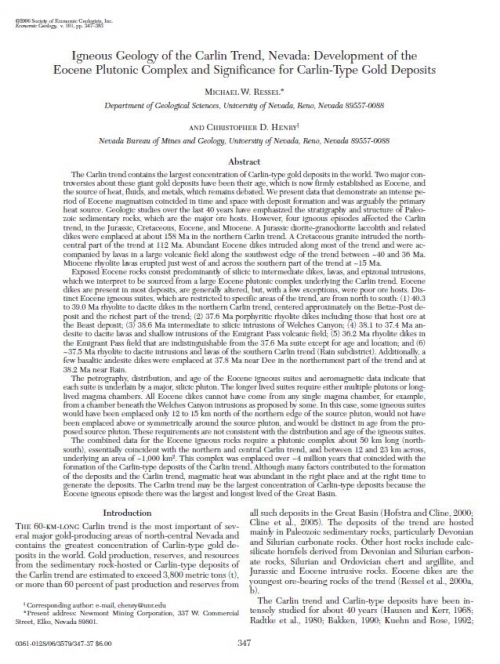 This interpretation is based on a strong spatial and temporal association of Eocene intrusive-volcanic centers with the gold deposits of this region. 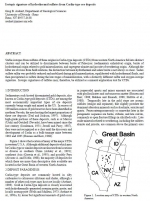 Our new work and published 40Ar/39Ar dates indicate that magmatism was particularly intense between 39 and 40 Ma throughout northeastern Nevada, especially in and around the area of gold deposits. 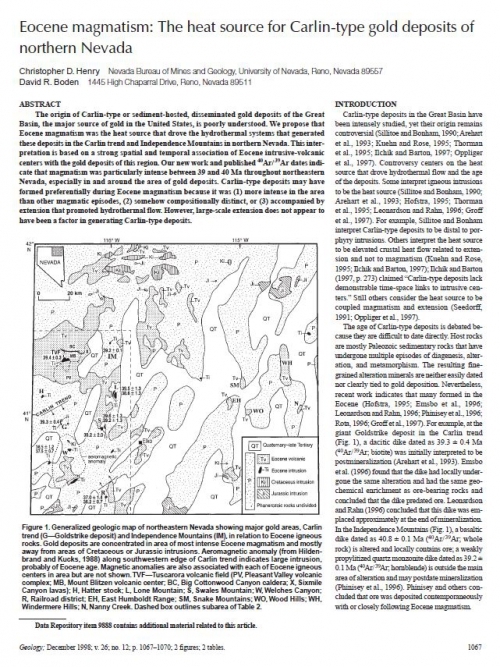 Carlin-type deposits may have formed preferentially during Eocene magmatism because it was (1) more intense in the area than other magmatic episodes, (2) somehow compositionally distinct, or (3) accompanied by extension that promoted hydrothermal flow. 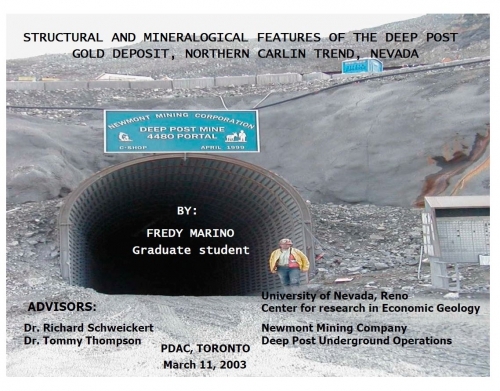 However, large-scale extension does not appear to have been a factor in generating Carlin-type deposits.